One of the best ways to make to make money from your living room is blogging and AdSense. I’ve seen some high earning websites like InfoLinks, TechCrunc etc using AdSense ads inside their post and earning more than any others. Now it’s your time to earn more with Google AdSense by adding your AdSense ads anywhere in your blogger blog posts. Its quite simple and the process is manual, because you’ve to add the AdSense code every time for each post separately. - Step 1: Go to blogger Dashboard → New Post and write your blog post completely. 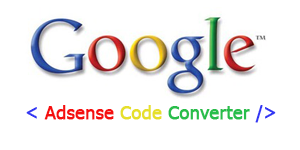 But while writing your blog post mark “xxxxxx” in the place where you wanna add your AdSense code to display. - Step 2: Sign in to your Google AdSense account, and get your desired AdSense ad unit and place the code within tags as shown below. Do you feel this quite difficult? If yes, you can make this task so simple. Just copy this code into a notepad which is added in your blog post, because it’s so easy to use this trick always while you write another blog posts. - Step 3: Now, go back to your blog post and switch your blog post from Compose to Edit HTML mode and replace “xxxxxx” with your AdSense code and you’re done! Please note: The most prominent thing to remember is never parse your AdSense code while adding in your blog post, because if you do so, it’ll display the parsed code only not your ads.